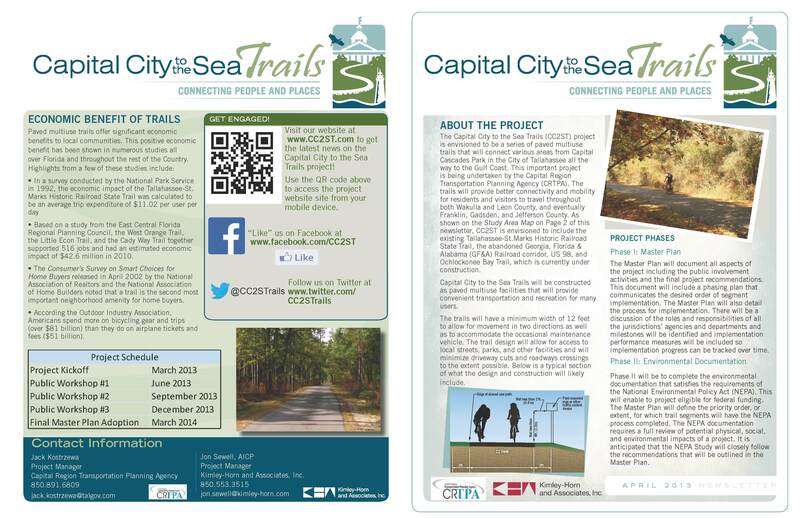 The first newsletter for the Capital City to the Sea Trails (CC2ST) project is now available. This newsletter contains important information about the project, including the dates, times, and locations of the public workshops. The newsletter is available for download here (PDF). 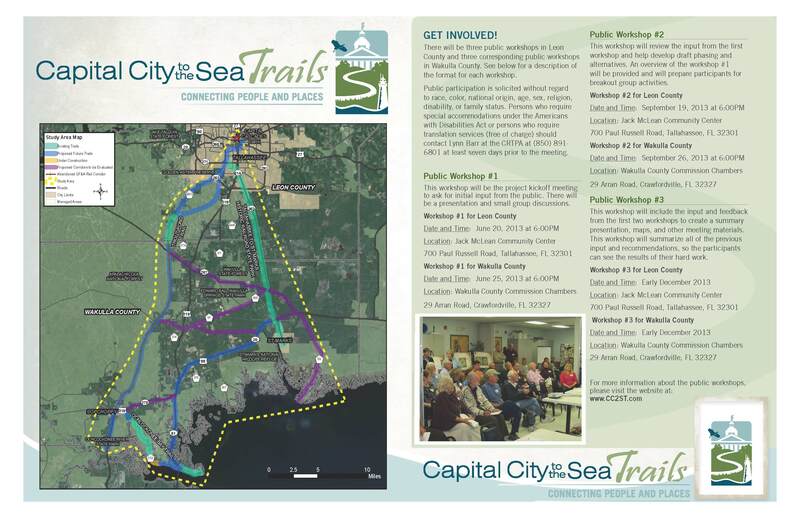 This entry was posted in Home and tagged Capital City to the Sea Trails, CC2ST, Newsletter by artiewhite. Bookmark the permalink.